It will significantly expand our capacity to map the Arctic shelf, leader of company Sevmorneftegeofizika says. The «Western Neptune» came on Russian hands in early June this year as Murmansk-based shelf exploration company Sevmorneftegeofizika signed an agreement with international oil service company Schlumberger. «The acquisition marks the start of a new phase in our country’s offshore geological exploration», Sergey Puchkov, deputy head of state company Rosgeologia said in a statement made after the deal. 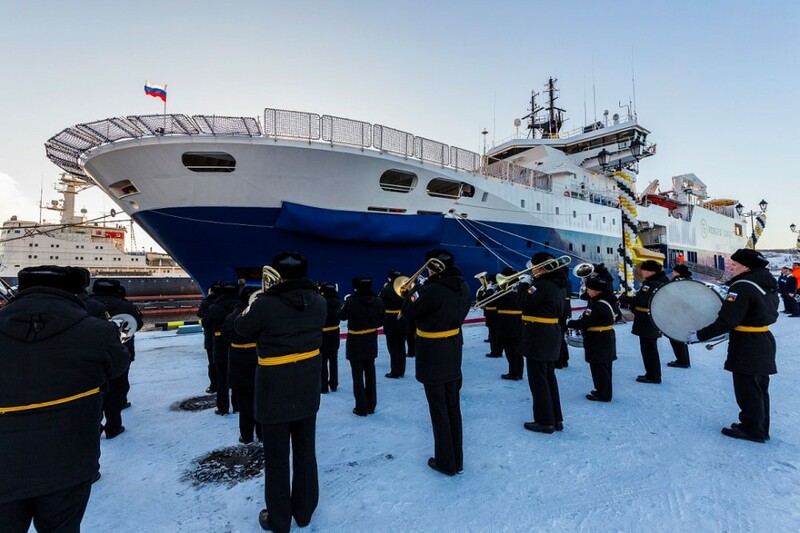 This week, the 18-year old vessel arrived in its new home port in the Kola Bay after more than two month of seismic operations in the central parts of the Barents Sea. In a subsequent ceremony on Wednesday, the vessel was renamed «Akademik Primakov» and the Russian flag raised. Previously, the ship carried the Panama flag. The «Akademik Primakov» was built in 1999 on the basis of ship design made by the Norwegian company Ulstein Ship Technology AS. The 92,5 meter long vessel is equipped with 16 seismic streamer winches for 3D seismic data acquisition. It is built with a hotel compliment of high standards and with capacity for 68 persons. It is equipped with an integrated helicopter landing platform. The ship will be operated by Sevmorneftegeofizika, a subsidiary of state company Rosgeologia.